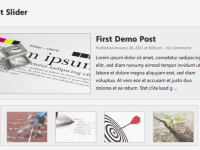 You are looking for a fancy Slideshow to improve your Blog’s/Website’s Design? This is perfect for you! 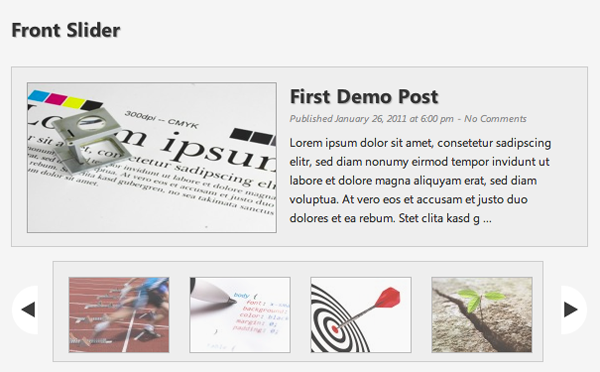 Front Slider includes as many Featured Posts as you like. You can define a Image for every Post/Page. It shows an excerpt, date, time and number of comments for every Post. The text and images are sliding smoothly – Front Slider generates nice thumbnails (with wordpress built-in-functions – no timthumb needed) through which can be slided and navigated. By clicking on the big image one gets directly to the featured Post/Page. Styling: Width, Height, Border, Text length of Description, Color etc. Go to the ‚Plugins‘ Page of your Administration Area and activate the Plugin. anywhere in your template file. 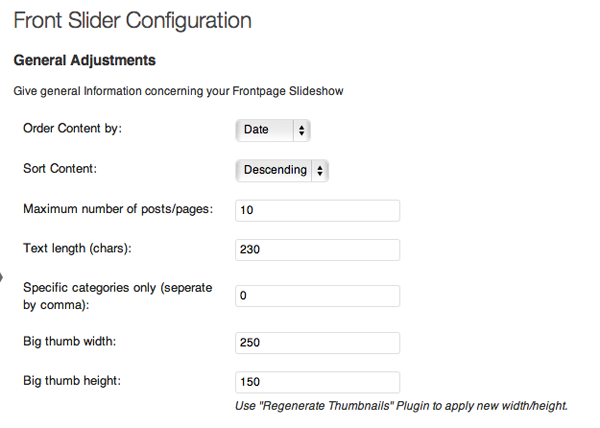 Regenerate your Thumbnails with „Regenerate Thumbnails“ – Plugin. is video allowed in the slide? like youtube video ? Will this only display posts? Or can I choose images and show on a page? Thanks. werde ich sicherlich das nächste mal benutzen ! Wow!! What a slider plugins!! Really i like it, i use it just now to my site. thanks hope you will continue…. i just installed the plugin, it s working well, thanks. Thanks for excellent plugin. I want to use this slider for custom post. Can you help me for that? Greetings – I have your wonderful slider on two sites. As you just released 2.2 update, that broke the one I updated. Now, there is no sliding, just raw html with tiny pics in a long list down the page. I have tried to delete, reinstall, but no luck. The site where I have not updated, works fine :-S help? Thanks a lot for this nice plugin. I needed it badly. Cheers! I am using the Open Hook Plugin. Is there anyway to make this page specific…. 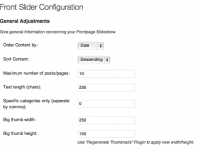 My home page is my post page and wanted to run before content…. Is it possible that the four small thumbnails display the title of the corresponding post? I would like to add an option in the administration that would allow me to check or uncheck the Slider directly post the „All items“ in a column. I do not know the code by myself, if somebody could look at it, I think it’s a great idea for a Plugin excellet! This is a worthwhile slider. I’m happy that you’ve shared a good slider that you have made for free. Thank a lot..
just one question, if there is a way to show also the article title, under the small thumbnail scroll. left medium thumb, right article title and content, and under it are small thumbnail scroll?..